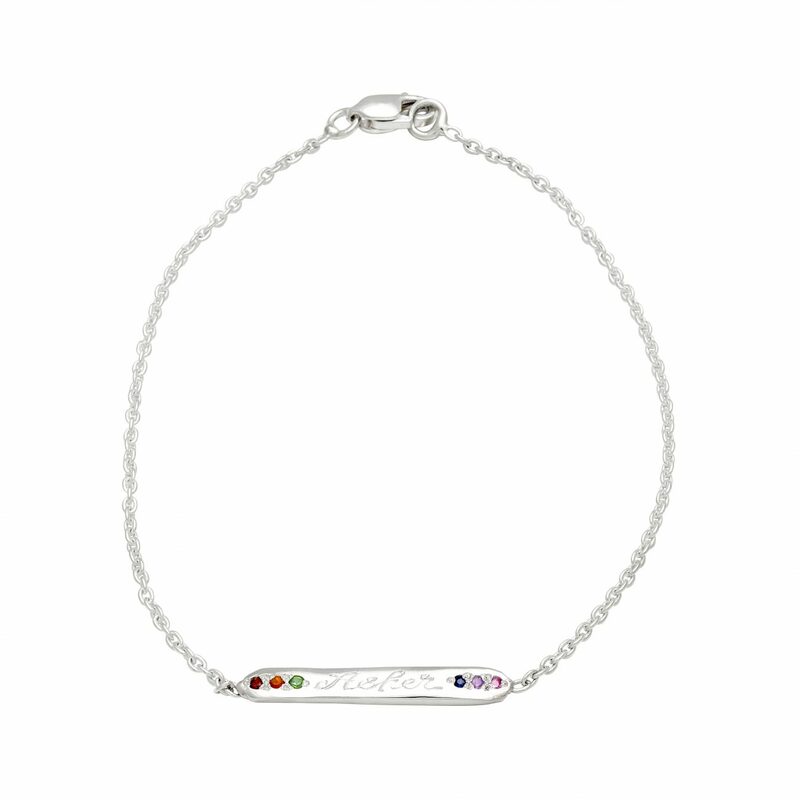 A classic skinny sterling silver ID bracelet set with rainbow gems. The rainbow gems include garnet, citrine, tsavorite, blue sapphire, amethyst, and pink sapphire. Engraving is available. 7 1/4 inches. Handcrafted by Elisa.